The Katjvarna Empire and the Kioka Republic are at war, and Katjvarna is currently defending their border against Kioka's attacks. Yatorishino is from an influential family in the empire, and she's taking the high ranking officer exams. To make sure she passes at the top, she's convinced lazy, anti-war, girl-crazy Ikuta to take the exams as well and help her, in exchange for a favor from her family. The first, written test goes as planned, and then they head off on a boat for the next. Unfortunately, the boat sinks, and Yatorishino, Ikuta, some other examinees, and a mysterious, important little girl are stranded behind enemy lines! Alderamin of the Sky (Manga) was somewhat of a disappointment for me. I started reading it after watching the anime, and I was expecting the manga to be better. To my surprise, I found it to be worse. The anime was far more fleshed out with the story and the characters, along with extra content that the manga needed. Also, some events seemed completely meaningless in the manga in which the anime had made meaning off (ex: Kanna). Overall, the manga I found to be just OK. However I am not saying the manga is bad, it just missed my expectations. My recommendation is to skip the manga and go straight to the anime, which I consider superior. I can't say anything about the light novel, as I have not read it. I found the concept of the story, "lazy military genius out smarts his opponents" to be an interesting and fun idea. I really enjoyed seeing how the main character out-thought his opponents. However, there was at no time that I felt like the protagonists had a chance at failure with I think you need to have in a war story. The biggest and most unfortunate flaw with the story is that it is unfinished. Because of the series was cancelled I was left feeling unfulfilled at seeing what what happens next. Probably best to pick up the light novel, if you want the full story. The character seem to fill the roles you might expect to see in a military story, the leader, the second in command, the medic, the sniper, etc rather well. Of the six main protagonists, Ikta, Chime and Yatorishino are more complex in terms of emotions compared to the other remaining three (Matthew, Torway, Haroma). However all six have a distinct lack of development, which I attribute to the series' short run. As for side characters the it felt like the author was taking a "Game of Thrones" approach where a introduced character that was unique or memorable was specifically put there to be killed of later for drama. Overall I enjoyed the manga. This made it all the more disappointing the series ended after 32 chapters. It was that disappointment that really brought down my enjoyment and appreciation for the series since this my introduction into it. With 6s in Story, Character, and Enjoyment and a 7 in Art. This series averages out to a 6 for me. I really wanted to give this manga a higher score, but the fact of it's premature end just leaves everything unfulfilling. My recommendation for this series is gonna be pick up the light novel instead and then read this manga if you enjoyed it. 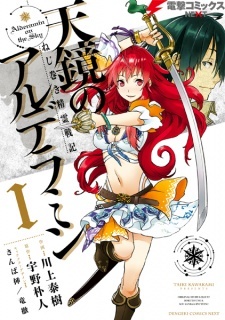 Is it needed to read the light novel after manga?